Hazar Imam received the Gran Croce della Republica Italiana, an honour normally reserved for heads of state, in recognition of his contribution to tourism development in Italy. Hazar Imam is the first Muslim and one of the few foreigners to be so honoured. 1978: The Aga Khan Foundation Logo was designed by Zahoor ul-Akhlaq of Pakistan. This logo is based on the right hand, a universal symbol of skill, achievement and caring. It symbolizes the humanitarian and positive philosophy underlying the Foundation and its activities. January 3-29, 1978: Mowlana Hazar Imam and Begum Salimah visited India. 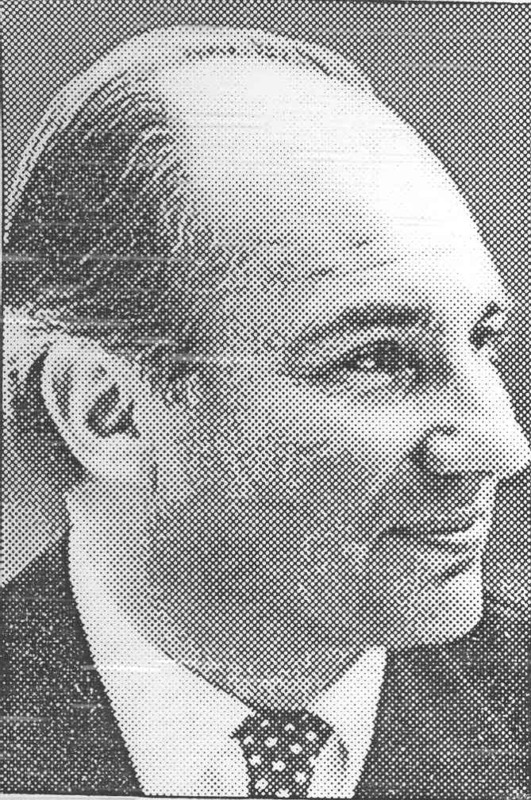 January 3-29, 1978: The Aga Khan co-sponsored the establishment at the Housing. Article. January 4, 1978: Visited Darkhana, Karimabad and Hasanabad Jamat Khanas. January 7, 1978: Visited Aly Khan Hospital, Bombay. January 10, 1978: Started extensive tour of Maharashtra, Gujarat and Andhra Pradesh. January 10, 1978: Visited Rajkot. January 15, 1978: Visited Nagpur. January 17-20, 1978: Visited New Dehli. Called on President Sanjiva Reddy and Prime Minister Morarji Desai and held discussions with Ministers. Offered to help Indian students abroad in various fields. January 20, 1978: Visited Ahmedabad. January 21, 1978: Visited Sidhpur. January 22, 1978: Visited Methan. January 22, 1978: Attended reception given by Bombay Hospitality Committee of Hosts representing 51 social, cultural and educational institutions. January 23, 1978: Inaugurated branch of Ismailia Co-operative Bank at Andheri West in suburban Bombay. January 25, 1978: Hazar Imam and Begum Salimah were felicitated at a joint meeting of Rotary Clubs of Bombay, New Bombay and Thane at Oberoi-Sheraton Hotel Mowlana Hazar Imam addressed the Rotarians on "Collaboration of Service Organizations." Hazar Imam said; "You referred to me as "Superhuman" and I recollect how the Americans had applied Einstein's theory of relativity of this concept. No sooner had American comics invented Superman, then somebody asked "superman in relation to whom?" The result was the immediate creation of supermouse." January 26, 1978: Performed opening ceremony of new Jamat Khana at Yuvan Apartments, Bandra. January 27, 1978: Hazar Imam gave a speech at the opening ceremony of the <!-a href= ../speech/s780127.html>SANJAN Housing Society of Bombay. January 28, 1978: Delivered a <!-a href= ../speech/s780128.html>speech at the Foundation Stone ceremony of Aga Khan Baug, a low-cost housing complex to be constructed by Muniwar Abad Charitable Trust at Versova, Bombay. It was Begum Salimah's birthday. During the India visit: Begum Salimah had a busy schedule. She inaugurated the third "Inner Circle" exhibition organized by the Ismailia Helping Society, declared open an audio-visual exhibition organized by the Audio-Visual Department of Ismailia Central Youth Board. Was the Chief Guest at a cultural program arranged by Ismailia Central Youth Board. Attended a baby show organized by the Central Health Board. Visited Fidai Boys' Academy and Girls" Education Institute for Boys' and Girls. Visited Diamond Jubilee Schools for Boys and Girls. Inaugurated a technical and industrial exhibition at Darkhana compound; visited the National Association for the Blind Workshop, Bombay; in Gujarat and Andhra Pradesh, she visited various academies. January 29,1978: Mowlana Hazar Imam and Begum Salimah attended a Grand Darbar at Bombay; Departed from India. February 2, 1978: Mowlana Hazar Imam announced to the Jamat of Great Britain, plans for building a Jamatkhana in Central London. April, 1978: Presided and address the opening remarks at the first seminar on the Architectural Awards at Aiglemont. April 1978: Hazar Imam gave the closing remarks at the seminar on Architectural Awards at Aiglemont. August 30,1978: Mowlana Hazar Imam and Begum Salimah attended the funeral of President Jomo Kenyatta in Nairobi. September 26, 1978: Second seminar on the Architecture Awards held at Istanbul, Turkey on "Conservation as Cultural Survival: Conservation and Adaptive Reuse" Hazar Imam in His speech said: "The contemporary Muslim world faces a fundamental and unique challenge in determining its future physical environment. Sudden affluence and rapid demographic growth and urbanization have resulted in an unprecedented rate of building activity." September 28, 1978: Closing Remarks by Hazar Imam at the Second Architectural Awards seminar. November 12, 1978: Mowlana Hazar Imam and Begum Salimah arrived in Ottawa for their first visit of Jamats to Canada. November 13, 1978: Met the Ottawa Jamat; had luncheon with Prime Minister Pierre Trudeau; Mowlana Hazar Imam was Interview: interviewed by CTV Television Network; Begum Salimah hosted a tea party for wives of several dignitaries. November 14 -16, 1978: Visited Vancouver. November 17, 1978: Visited Calgary. November 18 - 19, 1978: Visited Montreal. November 19, 1978: Begum Salimah toured Montreal General Hospital and Montreal Children's Hospital. November 19 - 22, 1978: Mowlana Hazar Imam and Begum Salimah visited Toronto. 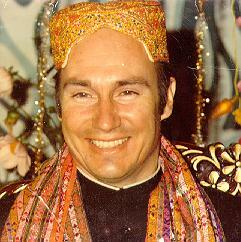 November 19, 1978: Hazar Imam attended a banquet at Toronto Hilton and gave a speech. November 20, 1978: Begum Salimah toured the Overlea Boulevard Secondary School (now known as Marc Garneau Collegiate). Mowlana Hazar Imam and Begum Salimah attended a grand banquet held in their honour. Banquet was attended by Government leaders, politicians, businessmen and diplomats and numerous important public figures at the Metropole Hotel. November 21, 1978: Mowlana Hazar Imam was interviewed by the Toronto Globe and Mail. Paid courtesy call on Ontario Premier, William Davis. Begum Salimah toured Toronto's General Hospital and Toronto's Sick Children's Hospital. She had a private luncheon with wives of government dignitaries. November 22, 1978: Departure from Toronto after meeting the Jamat. November 24, 1978: The Globe and Mail newspaper published the interview given by Hazar Imam to Stanley McDowell entitled "The Aga Khan: A Man Of His Time"
Mowlana Hazar Imam laying foundation stone of Jamatkhana at Mathan near Sidhpur, Gujrat. Mowlana Hazar Imam laying the foundation stone of the new Jamatkhana premises at Methan in Sidhpur district. Mowlana Hazar Imam and Begum Salimah with Prime Minister, The Rt. Hon. Pierre Elliot Trudeau. Mowlana Hazar Imam Toronto Mulaqat. Mowlana Hazar Imam and Begum Salimah at the banquet. Mowlana Hazar Imam at the Toronto Deedar. Mowlana Hazar Imam at India.